If you own an online business, or work in the world of search engine optimization (SEO), then you probably know by now that SEO is not an exact science. Unlike chemistry, there is no formula that guarantees success. It does not suffice to mix the right ingredients together to get a substance which will be the same every time. The web changes, it changes a lot, and you need to constantly adapt to what is happening out there. Very few people stick to a single system their whole life, and instead the successful marketers will constantly do experiments and tests to see what works, and what no longer does. Here is a list of 31 such experiments, things that were attempted, and whether they turned out to be successful or not. 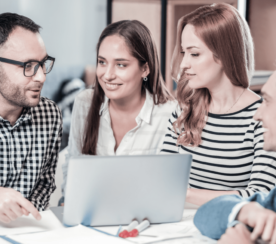 The experiment: In this experiment, a group of marketers from the academic sector noticed something fairly interesting in some of the websites and pages in university and college domains. A lot of the times, when a scientific paper or other academic text would be produced, the convention said that links would be spelled out, written out on the page without having a link. For example, they would write http://example.com instead of having a keyword with a link. So they wanted to know what difference that made for search engines and for discovery. The result: Unfortunately, the test yielded no positive result. It seems like people were not going to the new URL in any more number than if the plain text URL was not there. One thing they did note however is that Google does discover plain text URLs even if they have no link associated to the. The experiment: When Google introduced the real-time search results, it meant that suddenly, tweets were part of the results. That meant anything someone would tweet out was now visible in search results. But shortly after, the company deprecated that result. So do tweets still influence search results? This experiment centered around a single tweet linking to an unindexed URL. What quickly became clear is that while Google appears to no longer have access to the Twitter fire hose, there are enough scrappers and aggregator sites that the tweet still makes it to the search results, albeit a bit slower. But Google+ saw a much faster transition from social to search, with these results showing up in minutes. The result: There was no question from this experiment that both a tweet and a Google+ post would influence search results, although Google+ seems to have a much more immediate effect. The experiment: The question here was whether or not the number of outgoing links on an authoritative site affected how much gain one site could get from a backlink, regarding PageRank changes. So to find out, the experiment used two brand new sites, and added a single backlink on two popular sites. The first one was a site that had a moderate number of links already, while the second site had thousands. The purpose here was to see whether Google penalized backlinks on sites that already had too many links. The result: What this test showed is that there seemed to be no impact on the number of existing backlinks present. Both sites ranked up in a similar fashion, and remained that way for months. The experiment: A small financial firm with an online site was watching its traffic numbers being completely flat for months. One day however, they received the necessary funds and go ahead for an online marketing campaign. What they wanted to test was whether using regular posts, combined with social media, could increase their search traffic in the long term. They blogged for 100 days in a row, taking Twitter questions from their customers and making videos to drive traffic to their site. The result: Because their traffic numbers had been flat for so long, they had a nice baseline to compare against. When they started blogging, they right away saw their traffic numbers come up. But more than that, they were able to track long tail keywords as well, showing that the traffic was going up. There was no doubt that in this experiment, an increase in content meant better SEO. The experiment: As part of its algorithm, Google has a rule that duplicate content will not be displayed in its results. This means that if a second site copies a page from a first site, and posts it, then that copy will not show up in Google. However, it is possible for the second site to hijack that content, appearing in search results, and making the legitimate site stop showing up. The way Google decides which site will show up is whichever has the highest PR. So all the copying site has to do is make sure they get more backlinks. The result: The experiment showed that it is indeed possible for a brand new site to hijack content away from a legitimate site. However, there are some defenses that can help prevent this. One is by using the canonical tag, and the other is by having a Google+ profile with an authorship markup. Editor’s Note: Google ended up issuing a search quality issue notification for dejanseo.com.au. This is not a recommended tactic. The experiment: If you do a keyword search for a specific phrase and try both lowercase and capital letters, you will quickly see that the number of hits are different. This would indicate that Google does make a distinction between lowercase and uppercase letters. So an experiment was conducted to see whether capital letters would help a post rank higher or not. The result: The result showed that titles had no effect on the ranking. Whether a post title was all lowercase or using capital letters, the ranking speed was the same. So what accounts for the difference of hits? It turns out that the URL does. If a page name has capital letters, there will likely be more results than if it is all lowercase. If this holds true for all niches, then whether or not you use capital letters in your post’s URL would seem to matter. The experiment: Last year, Google introduced their Search Plus My World feature, which they said meant Google+ would be important for search results. But what is the worth of a single +1 hit on your page? If people click on that button, does it influence your ranking? The experiment used brand new pages and tested whether clicking on the +1 button changed anything for their Google rankings. The result: The result of a couple of +1 clicks was insignificant. There seemed to be no difference in ranking, at least from a typical, anonymous user. However, Google+ turned out to be important for other reasons. Whenever someone likes your page on Google+, all of their friends suddenly see that page come up on top. So the social part is very important to SEO. The experiment: If you have been working with SEO for a while, you probably know about Google’s infamous updates, how the company constantly revises its algorithm to try and remove spam sites. There was the Panda update in particular that made a lot of legitimate sites lose ranking. Sometimes, the reason behind this deranking can be hard to find, but if you do find it, how hard it is to recover? By analyzing data before and after such a change, a group of marketers watched their analytics software to find out just how long it took for them to rise back in PageRank. The result: It turns out that recovering after such a penalty is hard and it takes a while. But if you do fix the problem, it is possible to recover your ranking completely. The experiment showed that you can come back to the previous ranking that you used to have over time. 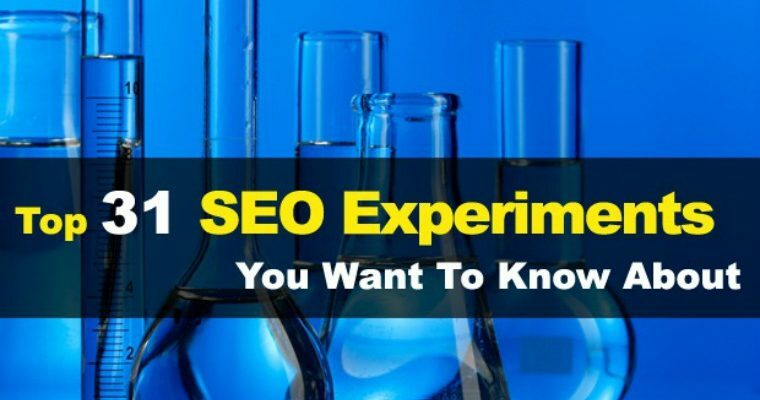 The experiment: Online marketers are always quick to tell us how we should stick with white hat techniques, always use methods that are allowed by Google, and avoid using shortcuts which may seem appealing, but apparently can cause our site to lose ranking if found out. But are these warnings really true? Do negative SEO techniques lead to a loss of rank? To test this, a site which ranked in 3rd position for a specific keyword was taken and a lot of spam links were added. In total, 7,000 forum links, 45,000 blog comments and 4,000 sidebar links. The result: While tracking the ranking, right away the experiment showed a loss of ranking. Within less than a month, the site had taken the 14th position for that same keyword. The experiment: With the Penguin update, Google has made it much harder for smaller sites to rank. Instead, the algorithm focuses on large authoritative sites with a lot of history and backlinks. So is it still possible for a new site to rank quickly for a keyword? The experiment followed a new site with a specific keyword, along with a series of backlinks being placed on authoritative sites. The linking strategy was to place not only the keyword itself but similar phrases as well, and to spread those links on multiple sites. The result: Less than two months after the experiment started, the site managed to reach the 4th position for the keyword. This proves that even after these updates, it is still possible for a small, brand new site, to rank well when the proper SEO is used. The experiment: If you use SEO tools, many of them allow you to see the number of links that go to remote pages. But using just Google Webmaster Tools, you can only see data for your own web site. However, an experiment showed that it is possible to view these links for sites you do not own. All you need to do is take the page that you want to analyze, and then copy its content on your own site. Google will then merge the content and show you the links to both pages. The result: Because your own duplicate has no inbound links, what you are left with is a list of links to the other site. This is easy to do, and takes just a few days for these links to populate in your interface. The experiment: When you build a web page, one of the most important parts of the page is the title tag. We know that when the search results appear, that title is the text which will be shown to the user as the text for the link. But did you know that in some cases, Google can replace that title? It is called non-informative titles. To test this, a new page was created and the title was simply filled with keywords. Not long after, a warning message appeared in the Google Webmaster Tools saying that the title was non-informative. The result: Searching for the name of the page, or rather what should be the correct title, actually worked. And when the page was shown in the results, the keywords were replaced by the name that the user looked for, but that name was in brackets, to show that it had been replaced. Update: A webmaster notice showed up stating the title was not informative. 13. Do Letter Cases Affect Ranking? The experiment: While it is known that whether a phrase is capitalized or not may affect the number of hits that are returned, how does it affect the results? The experiment here is to take a specific key phrase, and create two pages, one with the words capitalized and the other all in lowercase. Then, searches are conducted with both phrases. The result: The results found is that both pages are findable with either search queries. There is no visible difference in how the title is capitalized. The source for this is no longer available. It is common SEO knowledge that case does not affect ranking (2016). The experiment: This experiment deals on whether a like such as someone clicking a Facebook like button, reshare, or +1, has an impact on ranking. To test this, pages were created and then buttons were clicked by various social media accounts. Then the results were checked against the rankings of these pages before the social media blitz, to see if those numbers changed. The result: The pages did change in some cases. Social media does have an impact on SEO, although it is a small impact. While that may scale with multiple likes, even a single one can still affect a page’s ranking in some cases. The experiment: No one wants to see a Google update or a mistake they did derank their site. This still happens a lot, and is something you may want to plan for. But how easy is it to recover after being deranked? This experiment tested whether the ranking can be fixed after a site has lost considerable rankings for a specific keyword. After being deranked by deliberately using spammy links, they were removed and an appeal was submitted. The result: After the appeal, it took many weeks for the site to start gaining ranks again. But even though the process is slow, the experiment showed that with good SEO, it is possible to gain your position again. The experiment: The hreflang tag has been available for some time now and is aimed at sites who have multiple domain names for multiple countries, and may have duplicate content before of that, such as for English UK and English US. Google allows you to use these tags to specify these things do you do not get penalized for duplicate content. The experiment used this tag, along with the canonical tag, to test whether this indeed can improve your rankings. The result: In the end, the results showed that both tags can indeed be useful. Sites that were tested without the tags did worse than those with. Also, by using both tags you increase your chances even more, making them both useful. The experiment: The Penguin update from Google affected a lot of sites, including those which may use a lot of links using the exact keyword as the anchor text. So the experiment checked whether rankings could be improved by using text that was slightly different. By using brand new sites, various backlinks were made, all of which with phrases that relate to the main keyword. The result: Ranking for that site actually went up from these indirect anchor links. By using backlinks with words similar to the keyword wanted, it did affect the ranking for the main keyword. 18. Are Nofollow Links Really Useless? The experiment: When adding backlinks, one key concept that every SEO marketer knows is that you should aim for normal links, not those with the nofollow tag, because those are ignored by Google. But are those links really useless for ranking? The experiment to verify this took several new sites, and started adding nofollow links over a five week period. The result: Amazingly enough, over that period, the ranking was seen as increasing proportionally with the number of backlinks. Even though they all had the nofollow tag, and most likely played a much smaller role than real backlinks, they did influence the ranking of the sites. The source for this study is no longer available. Google maintains their efficacy. The experiment: When dealing with Google Search, but few people spend a lot of time investigating Google Image Search. In this experiment, a brand new folder was shared on a site with a number of images in numerical order, all of which simply showed their file name in the image. After the crawler found the images, Google Image Search was used to see in which order they would be shown. The result: Interestingly enough, the images did not show up in alphabetical order, or even order of being discovered. Instead, at every search, it seemed like the images would be in a random order. It seems like either the Google servers retrieved the results randomly based on network latency between the various servers, or Google uses a deliberate randomizer function to do this. The experiment: One of the worse message to get from Google is the warning that tells you too many spammy links are pointing to your site. This means your site is now delisted or penalized. Thankfully, the company introduced the Disavow tool in cases where you do not control these backlinks. The experiment looked at whether this tool was useful to disavow thousands of bad links. The result: In the end, 96% of the bad links were successfully removed using the link, which makes it a lot faster and more efficient than simply trying to remove them manually. After an appeal, the site was then reinstated. The experiment: The way the anchor text is set up will impact your ranking, but what about the surrounding elements? Would a page get better rankings if you place links within a paragraph of text, next to an image, or by itself on a blank page? The experiment took several new domains and added backlinks with these various options. The result: From looking at the different rankings, all for the same keyword but with different links, it does seem like anchor text proximity matters. Those links by themselves ranked poorly, while links as part of text ranked better, and image tags ranked best. The experiment: The canonical tag is useful to specify which site is genuine, and which may be a duplicate. But can the canonical tag be used for other things? This experiment looked at what happens if the tag is used for non-existing pages, or if it is used at the wrong location on the page, such as within the body. The result: Canonical does have a significant impact, but it has to be used correctly. It should be inside of the head tag and point to a valid page. Google did not trust a tag pointing to a fake page, or if it was added as part of a comment, social button or otherwise outside of the head area. The experiment: Look at content that is doing really well that was produced by sites other than your own. Take that content and make it much better than it currently is, then share it with the right people. The result: Amazingly enough it worked, and really, really well. Brian reported a 110% increase in search traffic. The experiment: Since the latest Google update, a site map is important to any site. Having broken links can be a problem, and should be fixed. But finding and fixing these links can be a pain. So to fix them, a plugin called Broken Link Checker for WordPress was used. The result: This plugin found and fixed all of the broken link. The result in ranking was minimal, and the site as a whole did not change rank; however links to broken pages would no longer be accessible. 25. Build No Links. At All. The result: Matthew built a ‘six figure’ SEO blog with NO linkbuilding. Instead, he focused on following Google’s webmaster guidelines and producing super awesome content. The experiment: Rumors say that Google only count the very first link to a site. This would mean that if a page has a backlink to your site, there is no point in linking it again. Also, if the first link uses the wrong keywords, then adding a second link with the right one is useless. Worse, some think that adding more links can remove the usefulness of the first one. To check this out, tests were conducted using an unranked site and links using various keywords. The result: The experiment showed that all links are used by Google. Even if they are not bringing in a lot of ranking for the site, the keywords are all used, and they all factor into the results. The experiment: Google has a presence in almost every country, and the site responds differently based on the country the user is in. But does that apply to sites as well? An experiment was done to see if a site could be filtered or penalized on a country basis. By using nofollow links, a site was linked from an Israeli host. The result: By looking at various analytics of the traffic, it quickly became clear that some automatic filters are applied in a country-specific manner by Google. This applies not only to the.IL Google site, but also google.com for visitors from an Israeli IP. The experiment: Building links is not very hard, all you need to do is local sites that are in your particular niche. If you want to create backlinks for an electronics store, then finding sites that talk about electronics is trivial to do in Google. However, if you try to focus on local marketing, this may be much harder. Thankfully, phone numbers are unique by areas. The experiment was to take phone numbers of competing businesses, then use them to find links in Google. Then, taking these links, it would give a list of sites that offer backlinks to local businesses. The result: In this particular experiment, a series of sites were found with backlinks to many of the competing stores. This allowed the finding of local review sites, business listings, and so on. The source for this study is no longer available. The experiment: As Google constantly adjusts its algorithms, some say that the era of cheap SEO is over, and only large firms can handle this new landscape. Without dedicated people to spend a lot of time on building your backlinks and your SEO, you have no chance of ranking. To test this, various sites were created and contracted out to various SEO firms, to see whether the results would go along with the price. The result: Just like in many other industries, it turns out that the cost does not always equate to the quality of the work. Instead, the results turned out to be more based on what was done than how much was paid. Links remain the main activity which brings in traffic. The source for this is no longer available. However, we agree that you get what you pay for. 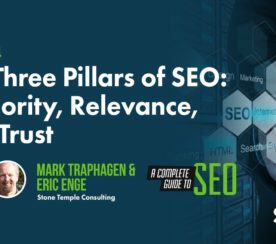 Black hat tactics do not work, thus ushering in the end of ‘cheap’ SEO. The experiment: Any site that grows too large is bound to start having some issues which leaves it with less SEO power than it otherwise would. For example, a site can have duplicate content, which can be found with Google Webmaster Tools, proper indexing needs to be done as well, which can be done by submitting a sitemap, and tags should content keywords such as the title and various header tags. The result: These changes were done on a popular news site, and traffic increased by 30% . As a result, showing that even well known, popular sites can get a good boost in traffic if SEO methods are constantly followed. The experiment: It used to be that meta tags, along with all other tags in a page, had to be filled with keywords. But now there is a sense that most of those tags are not seen by search engines anymore, to avoid exactly this type of tag stuffing. An experiment was made to see which tag could influence rankings. The result: For the most part, the important tags are the title, headings, link anchors and ALT tags. Note that only Google see the ALT tag, not Yahoo or Microsoft. The source for this is no longer available. Looking for updated SEO trends? Check out this post by Danny Goodwin. Featured Image: Created by Author.